WELCOME TO THE NEWEST installment of everyone's favorite Theatre Podcast... That's right we're back with more Broadway Bullet! So here's what we have lined up for you this week: We have a chat with Jace Alexander and Jason Chimonider from the newest venture from Ground Up Productions, THE OPTIMIST, to fill us on in on what happens during the weekend their play is set. Also Christopher Domig, the star and only actor from DIRT, comes by to tell us about what it's like to play an Arab immigrant. This episode also includes the songs, "Evil Woman" from XANADU and "Nothin' Hurts Like Love" from CUPID. And The Actor's Company Theatre comes in to talk about their production of the Tennessee Williams play, ECCENTRICITIES OF A NIGHTINGALE. IT’S A COMING OF age story for the new generation. The newest production from Ground Up Productions follows the exploits of three intellectual and passionate characters over the course of one astonighing weekend as they try to find their place in the grand scheme of things. Originally the show was workshopped at Ars Nova and Naked Angels and is now playign at the Abingdon Theatre. Jason Chimonidor, the show’s playwright, and director Jace Alexander drop in to talk about the show and it’s own personal coming age. THE DRAMA LEAGUE WILL present specialty awards to three honorees this year; Bartlett Sher, Ellen Stewart, and Paul Gemignani. Tony Nominee Sher will be given the excellence in directing award for his work on SOUTH PACIFIC, A LIGHT IN THE PIAZZA, and AWAKE AND SING. Stewart, founder of LaMaMa, etc will be presented with with the unique contribution to theatre award, and rounding out the bunch; Gemignani will be presented with the excellence in musical theatre award for his work on the Sondheim shows, PACIFIC OVERTURES, FOLLIES, PASSION and EVITA, as well as his work on DREAMGIRLS. CASTING IS NOW COMPLETE for THE BROADWAY MUSICALS OF 1954 that will be performed at Town Hall on April 7, 2008. The showcase, featuring songs from shows such as THE PAJAMA GAME, FANNY, THE BOYFRIEND, and PETER PAN, will feature the talents of Emily Skiner, Sierra Bogess, Sean Palmer, and new cast members: Harvey Evans, Debbie Gravitte, Jen Cody, Mark Price, and Natalie Venetia Belcon. MEL BROOKS WAS PRESENTED with the Ellis Island Family Heritage Award, with a ceremony to be held on April 17, 2008. The Award now in it’s seventh year is presented by the Statue of Liberty – Elllis Island Foundation and honors Ellis Island immigrants and their descendants. TO COMMEMORATE THE ANNIVERSARY of the death of prolific Broadway choreographer Jerome Robbins, The New York Public Library for the Performing Arts will be housing a Jerome Robbins exhibit. The exhibit will consist of personal drawings and sketches of costumes and set designs, as well as personal letters and photographs of Robbins’s. The exhibition will open on March 25 nd run until June 28, 2008 in the Mary Oenslager Gallery. We play “Nothin’ Hurts Like Love” performed by Amora Corvo from the musical in development. FOR FOURTEEN SEASONS TACT, The Actor’s Company Theatre has been producing theatre of the highest caliber for the sake of great theatre. They are a group of actor’s that want to bring the great literature of the stage alive. They’re keeping that tradition goign with their latest production by Tennessee Williams, ECCENTRICITIES OF A NIGHTINGALE. We had Mary Bacon (actress) and Jenn Thompson to tell us more about TACT but also about Tennessee Williams as well. 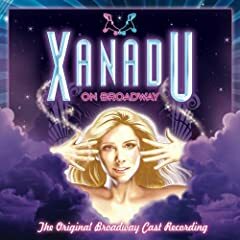 We play “Evil Woman” performed by Jackie Hoffman and Mary Testa from the recent cast album release of “Xanadu”. The recording is put out by PS Classics. DO YOU STOP TO think about the man that’s selling you flowers on the street? Do you know his story? Dreck Productions offers up a taste of what that life could be in their newest production, DIRT. Christopher Domig (producer and actor) portrays, Sad, an Arab immigrant living in New York City in 2008. It is the heart felt story of the unknowns of the city, people who are sensitive to their rights and all to aware of the ones they don’t have. Domg drops into the studio to talk about the production, having it’s American premiere at Under St. Marks. THE AL HIRSCHFELD THEATRE welcomes a new show after it’s star studded run of CURTAINS. The new musical adaptation of A Tale of Two Cities by Charles Dickens will be debuting on Broadway beginning August 19, 2008 with an opening date of September 18. The show penned by Jill Santoreillo last played at the Alsoto Reperetory Theatre in Sarasota Florida. No director has been chosen to helm the project yet. THE RUMORS ARE TRUE about a musical sequel to THE PHANTOM OF THE OPERA. A spokesperson for Andrew Llyod Webber confirmed rumors about the new sequel, which already has it’s music written and is awaiting Glenn Slater to add lyrics. The show will follow the travels of the Phantom in Amerca and his reunion with soprano Christine. Webber will be given book credit for his original story of the Phantom. Jack O’Brien is slated to direct the project. WHOOPI GOLDBERG JOINS THE creative team behind the FIRST WIVES CLUB musical to produce BRICKTOP, a new musical about Ada “Bricktop” Smith. The show will be a biopic of the life of the 1920’s Paris nightclub owner and performer. Goldberg’s involvement was announce at Musical Mondays at the Plantages Theatre in Los Angeles, California. Fantasia Barrino is slated to play the lead, and the producers are hoping for a 2009 Broadway premiere.